CAFOD supports communities in poor rural areas of Nicaragua through housing, health, education and water projects. 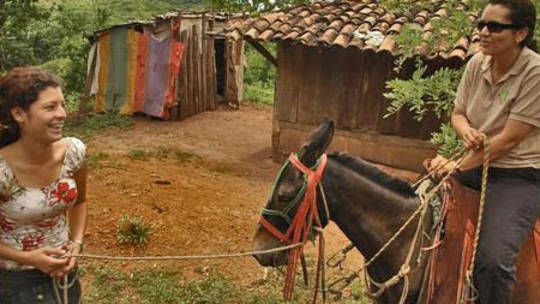 Nicaragua is the second poorest country in the Americas after Haiti. About half of its population live in poverty or severe poverty and many people struggle to cover their basic needs of food, housing, health and education. Although Nicaragua has an abundance of land and natural resources, its dependence on agriculture as the foundation of its economy makes it vulnerable to the impact of extreme weather conditions and unpredictable international food prices. Nevertheless, Nicaragua is also a nation with a strong spirit, where women play a fundamental role in local development and where young people are committed to working together to build a better future. CAFOD is working with partners in Nicaragua to bring about lasting changes in some of the poorest and marginalised areas of the country. Inspired by the strength and vision of local community groups, we are contributing to a range of rural and urban projects that seek to transform people’s living conditions and build stronger relationships of solidarity at the grassroots. Lobbying and awareness raising to promote good governance and a stronger justice system. Marjorie van den Bosch left a legacy to CAFOD in her will. Watch this film of members of her family visiting CAFOD projects in Nicaragua. Basilia Centeno, one of community leaders involved in building a health clinic in Puntizuela, Nicaragua.